Tension arises between the limitations required by these basic Medicare rules and the very nature of direct pay practice models, which tend to market “unlimited” or very comprehensive access to medical care for a fixed price, thereby including (often unintentionally) services that, technically, are covered by Medicare. Medicare covers medical services that are “reasonable and necessary for the diagnosis or treatment of illness or injury or to improve the functioning of a malformed body member.” 42 U.S.C. § 1395y(a)(1)(A). 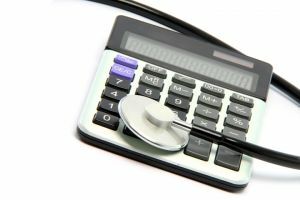 Determining covered versus non-covered services does not always involve a clear answer. The more comprehensive the offered services of a direct pay practice are, the greater the risk of violating Medicare laws (unless the physician drops out of Medicare completely, which many direct pay physicians do). Surveys show that direct pay practices are providing physicians with some better and financially rewarding alternatives than insurance-based practices. Whatever the particulars of a physician’s individual circumstances and desired concierge practice model are, careful evaluation of potential legal and regulatory pitfalls is important to ensure applicable rules are followed. Fortunately, for physicians committed to following the law, setting up a direct pay practice model in a legally compliant way can be accomplished. If we can answer your questions about this article, contact us at info@ksllawfirm.com or our Atlanta (404) 685-1662 or Augusta (706) 722-7886 office.